The aim of our PTA is to raise extra funds for the school, and in doing so to hold a variety of events for the children and their families. 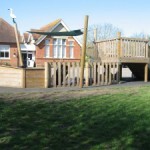 We have a committee comprising of parents and staff who meet each term to plan events. Behind the scenes we also have a lot of very supportive parents who help out at the large events such as the Christmas Fayre, the Summer Fayre, School Discos etc. Not every event is solely to raise money. During the year we try to organise a couple of social evenings for families. For example we have a popular ‘Bingo’ evening. These occasions help to bring together parents, staff and children outside school hours socially. Having raised the money we then ask the headteacher and staff which items the school is in need of. We also subsidise the cost of swimming and some school trips or in-school workshops. We are always looking for new members or ideas. The Annual General Meeting is held in September, so do come along. We are open to any suggestions to help our children to have the best opportunities in school.